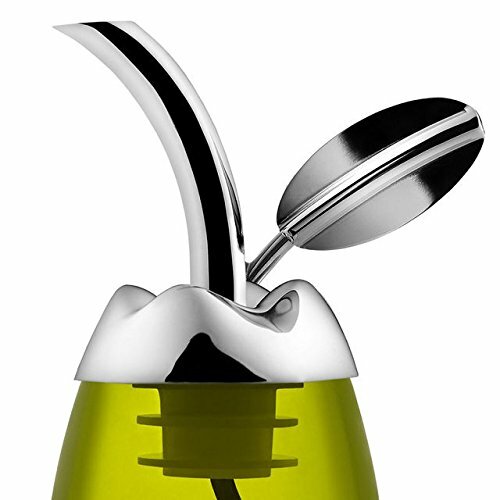 Alessi olive oil dispenser and taster Fior D'Olio. Designer Marta Sansoni. Olive oil often called "green gold". 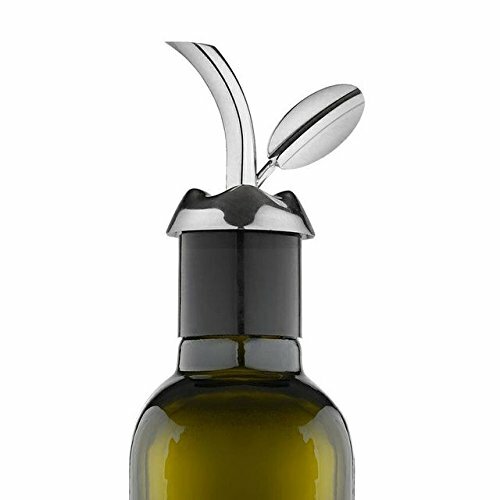 Alessi olive oil dispenser and taster Fior D'Olio is a precious gem to complement "green gold" of olive oil. 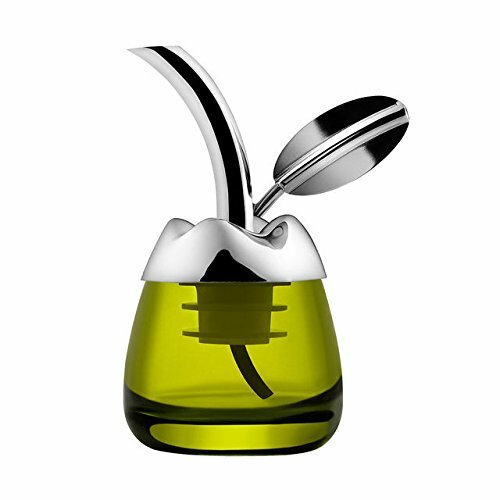 Fior D'Olio by Alessi is very nice looking and practical olive oil accessory. 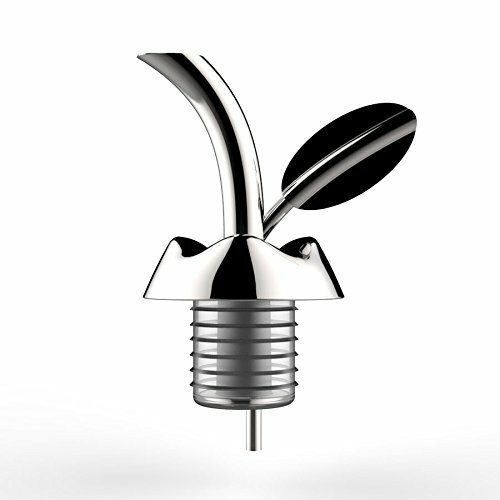 It's an olive oil bottle cap with pouring spout that will fit on the most bottles top. 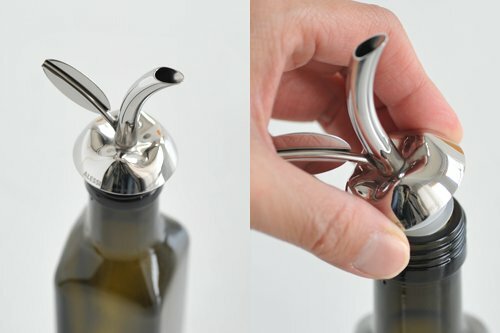 With Fior D'Olio pouring spout you will add exact amount of oil needed to your favorite dish or apply right amount of olive oil on bruschetta. It will also control process of oxidation that starts as soon as you open the olive oil bottle. Small glass container that houses oil dispenser Fior D'Olio can be used by professional olive oil tasters to sample the oil. 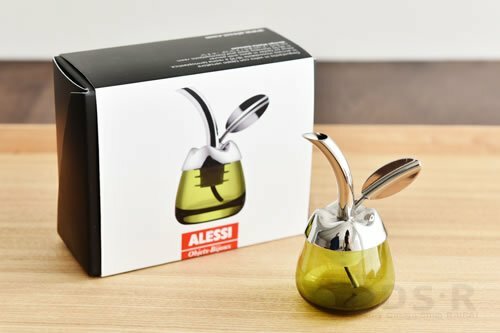 Alessi olive oil dispenser and taster Fior D'Olio - unique olive oil gift! It will do great housewarming gift! Fior D'olio Alessi suitable for all bottles with standard neck. Furthermore, Fior D'olio controls the oxidation process that begins as soon as the olive oil bottle is opened. 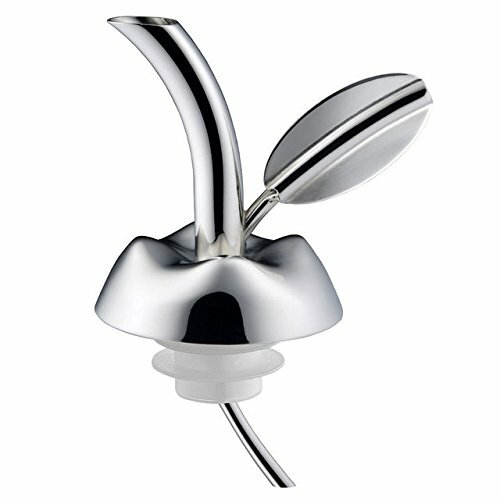 Alessi Fior D'Olio pouring spout can be used not only for olive oil but also for other vegetable oil, vinegar or soy sauce. Small glass container serves as dispenser stand or can be used to taste olive oil. Great housewarming gift!